Surecrete’s SCT-22 concrete crack repair is a rapid set, technologically advanced, high strength, ultra-low viscosity urethane treatment material. This 2-part, 1:1 system is 100% solids, no VOC’s and designed for rebuilding spalls and treating static cracks in concrete very quickly. 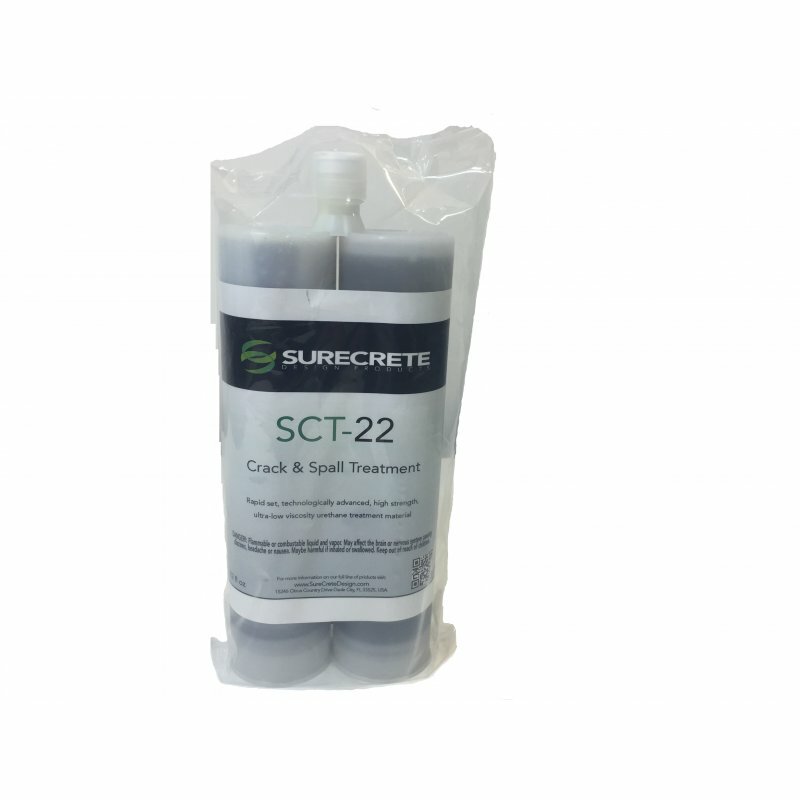 SCT-22 may be used prior to the application of an overlay for concrete that has random cracking or as a stand-alone treatment for spalled and damaged concrete. Its rapid setting times makes SCT-22 the premier restoration product for industrial warehouse floors that have traffic area spalls and construction joint damage. A ten to fifteen minute period is all that is required for “drive-over” time. SCT-22 cures from –20°F (-29°C) to 130°F (54°C). It is self-leveling, self-priming, and meets USDA and FDA requirements. Use this product toghether with CST -22 Gun.